One of the design origins of my “ Studio Style”. This client lived in Germany for a while and had me build this piece in the “all the furniture looks like this in Germany” style. 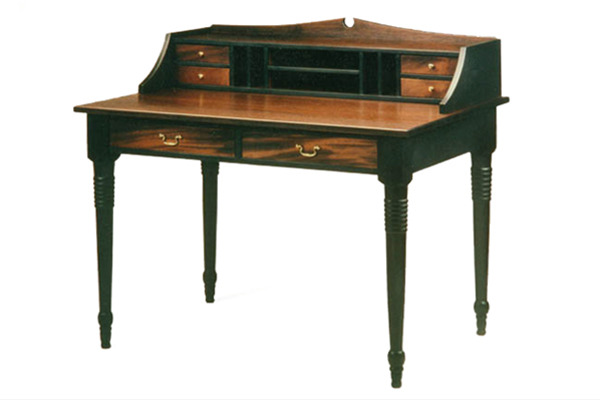 We personally found the mahogany a bit formal for Vermont and moved onto natural cherry or maple with the black. It turns out the style she was describing was Biedermeier, popular in Germany in the mid 19th century.